CT CLSA Capital (Pvt) Ltd (CT CLSA), is a leading financial advisory and investment banking service provider in the country and has participated in some of the landmark transactions in the Sri Lankan Capital Market. CT CLSA is a fully owned subsidiary of CT CLSA Holdings Limited, which operates the capital market cluster of the Colombo Stock Exchange listed conglomerate CT Holdings PLC. 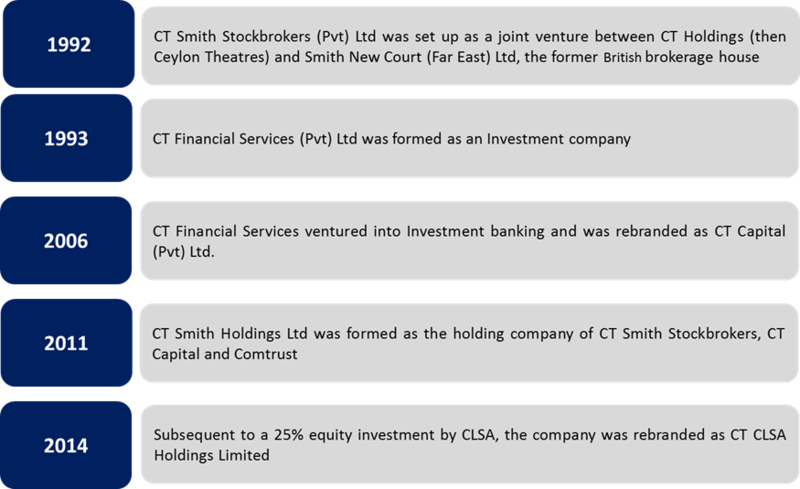 CT CLSA Holdings Limited is also the Strategic Equity Partner of CLSA, Asia’s leading Capital Markets and Investment Group, which owns a 25% equity stake in CT CLSA Holdings.